A few weeks back, I wrote a two-part series in which I discussed some of my favorite spring/early summer films. To cap that project, and in celebration of today’s date, I will discuss one of my all-time favorite horror franchise, the Friday the 13th series. Horror fans and casual observers of pop-culture alike are more than aware of this series. Even if you have never seen one of the movies, you know the imagery of the psychopath in the woods wearing a hockey mask and wielding a machete. Of course, it would not be a “From the Desk and Shelf” movie article without some comment on nostalgia. 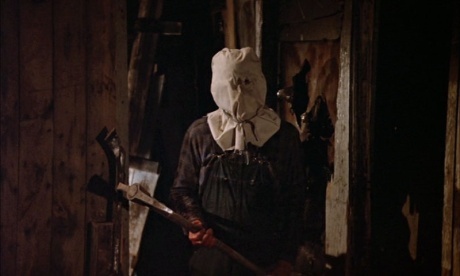 The Friday the 13th series holds a special place for me as it was the first horror film series that I was introduced to. I saw these films at a very young age, third-grade in fact. I know, that sounds a little unsettling, but I turned out just fine. Besides, my first exposure (actually, my only exposure to these films for many years) was the edited TV versions. I remember a friend of mine told me about how crazy they were, and then sometime around 1993, the USA network aired an all-day marathon of the films on Saturday the 14th. Readied with blank tapes in hand, I remember staying with it from 11 in the morning until late that night. Honestly, I probably did not sleep well after watching so many of these things. As for the films themselves, what can I say about them that has not already been said? Not too much really, but I think it is important to reiterate a few points. First, in case you were not aware, we are not talking about high cinema here. This is not Bergman, Wells, or Kubrick. This is schlock, trashy cinema at its finest, although the series was not nearly as trashy as some of its competitors. No, the Friday the 13th series involves basic plots aimed at entertaining and scaring its audience, nothing more. The trend for most seems to hold the first one as a curious and even decent entry into the horror film lexicon, while dismissing the numerous sequels. Personally, I hope to change that perception. Lastly, a word concerning the constant comparison between the Friday the 13th series and Halloween: While it is doubtful the original film would have happened without the influence of Halloween (1978 and 1980), as a whole, I submit that the Friday the 13th sequels are better than the Halloween sequels. The original Halloween is indeed a better and more important slasher-film all around than any of the Friday the 13th movies, but as a whole, the Friday series enjoyed better subsequent entries. With the background information out of the way, now I can give you the real warning before diving into the films. Just like the Blade-Runner, I am about to totally geek out on the Friday the 13th series. I am going to talk about these movies in groups, as I see the films divided into three trilogies, plus two intermediate films. I am NOT counting the 2009 re-boot in this article. So here they are: The psycho in the woods trilogy, the zombie killer trilogy, and the New Line trilogy. The following article will not review each film, but rather I will discuss how they work as trilogies. For a personal touch, I will pick my favorite from each category. Of course, there are some spoiler alerts in this article, so if you plan on watching any of these films, just be aware. Ironically, the original film from 1980, the one that started it all, really does not fit with the rest of the series as a whole. It does establish the elements however: camp setting, POV killer camera, somewhat gruesome murders, a third-act discovery of bodies, and a surprise ending. 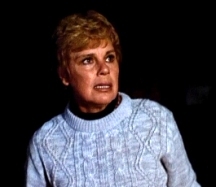 The first entry in the series established the Voorhees family and laid the groundwork. Overall, it was panned by mainstream critics (I am looking at you Siskel and Ebert, rest your souls), but for horror film fans, it remains a staple of the genre. Following the box office success of Friday the 13th, Paramount pictures produced a sequel the following year in 1981. After a brief scene in which a character from Part 1 meets her demise, the story moves ahead five years later, when a new person decides to open a camp in the area of the first movie. This sets in motion the plot of Part 2 and its two subsequent sequels, as all three of these movies not only flow together, but pickup from the spot in which the previous installment left off. Part 2 had traditionally been panned by even the horror film community, but in recent years, I think people are re-evaluating this stance and seeing the more positive elements of the film. All-in-all, I really like part 2. The chase through the woods during the climatic part of the movie is quite chilling, and Jason’s simple costume design makes it believable that this is truly a lunatic who lives alone in the woods. Part 3 picks up immediately following part 2. Although Part 2 currently holds a higher rating on imdb.com over part 3, the third installment in the series has its moments. The location of the cabins feels more atmospheric in this film, with the wind storm near the end adding a level doom. This film feels like Jason is crossing into the territory of the boogeyman. Although the film does have some cheesy camera work, due to having been filmed for 3D, I think it does still hold its own against part 2. Also, the main reason this film comes up in discussion is this is the first time we see Jason with his signature hockey mask. Rounding out the Psycho in the Woods trilogy is part 4, released in 1984. From a personal perspective, this was the last of the original run of Friday the 13th movies that I saw, as it never played on cable television. While I encountered these movies in the 3rd grade, it wasn’t until high school that I saw part 4. Filled with more graphic content than the previous two entries, it is understandable why this one never made it to USA or TNT. Part 4 sees the psycho in the woods motif taken to its extreme, with Jason being nearly unstoppable. This entry also feels more human, as the plot focuses on one family, adding more suspense as to whether the mother, daughter, and son will survive to the end. ANDREW’S PICK: PART 3 – By a narrow margin, I have to pick part 3 as my favorite of this trilogy. The creepy atmosphere, the tense moments with Jason stalking the main character in the barn, just make it a great horror movie for me. Also, as intense as the kill sequences are in part 4, Jason just seems more brutal in this one. Definitely not the character the audience cheers for… yet. If you have seen this movie, then you know why it is not included in any other story arc. As a standalone film, it follows a grown up Tommy (from Part 4) and the murders that occur at a mental facility where he is a patient. An interesting concept, this one scared me as a kid, but just does not do it for me anymore. The big reason to keep this one separate is the fact that the killer is not even Jason Voorhees, but rather someone imitating him. If you are new to the series, I would skip this entry for a later time. How do you reintroduce a psychotic killer into a franchise that definitively killed him off? Simple; bring him back to life a la Frankenstein with a bolt of lightning in your opening scene. Part VI begins a series of movies in which the films make it clear that there is a supernatural element to Jason. Rather than discuss these three films individually, I want to talk about the shift in tone. Because Jason is now an unstoppable zombie, these three films are the point in which we the audience begin cheering for him, rather than the human victims. Instead of cringing in horror as Jason polishes off his prey, the viewer begins to look forward to the over-the-top madness as the silent killer finishes off underdeveloped, interchangeable characters. In an attempt to balance this, parts VII and VIII attempted to tell more back story for their respective leading female characters. Although many fans like VII, especially with the added bonus that the main character possesses telekinetic powers, the other characters fall flat, as they do in part VIII. In my opinion, this is the secret to not only a good movie in general, but a good slasher-horror movie. We the audience already know the plot in advance: Jason is resurrected, he slaughters people in horrific, over the top ways, he is eventually killed himself by one or two survivors, typically the leading female and her boyfriend. With the plot already known in advance, the best the screenwriter can do is to invent memorable characters that exist within the plot. I already mentioned the telekinetic powers of part VII, which also includes the spaced out sci-fi writer, as well as the strict teacher and rocker chick in part VIII. Both VII and VIII though suffer from being tired. Both feature a lead female with issues toward a father-figure, both had a horrible experience in their childhood, both have their mother figures killed by Jason, both have to contend with another icy female character, who ultimately is killed off by Jason as well. Andrew’s Pick: Part VI. This one has a fairly well developed main character (grown up Tommy from part IV), a good dose of humor, and a great ending. At some point in the 1990s, New Line Cinema acquired the rights to the franchise from Paramount and decided to take the series in new directions. This is my least favorite group of movies, so I will be brief in my comments. 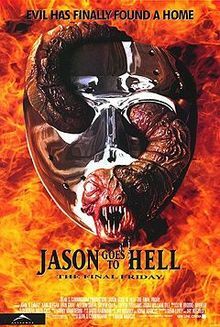 Jason Goes to Hell (or Part IX) is one of the worst, if not the worst, entry in the series. A confusing mix of supernatural elements, vague plot points involving a cult, and bad special effects make this one my least favorite in the series. 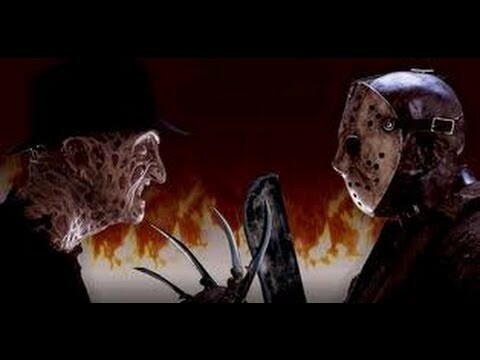 The cliffhanger with Freddy’s claw appearing at the end certainly got us hyped in the 1990s, but that remains one of the only memorable scenes from the film. In fact, this one almost functions as a reboot, as the finale of part VIII saw Jason wash away in a New York sewer, and part IX finds him chasing an FBI agent through the woods. Obviously, the continuity is completely ignored. Jason X, with its ludicrous plot of Jason is outer-space, is at least entertaining. There is not much else to say about this entry other than I am surprised New Line was able to secure a theatrical release for something that probably should have been a straight to DVD feature. This film does however do a great job at embracing the outlandishness of its plot. Even I must admit, “cyber-Jason” is pretty cool. Finally, Freddy vs. Jason rounds out the original run of Friday the 13th films before the reboot of 2009. Although this movie really is more of a Freddy movie, I still find it entertaining to see the human characters (although again, not very well drawn out) stuck between Freddy and Jason. Although for this one, I do enjoy the over-the-top fight sequences as well as the great ending scene. First, if you made it to this point in my article, I want to thank you. I fully recognize that it was a long, rambling piece. But for me personally, I fully enjoy writing about these films. 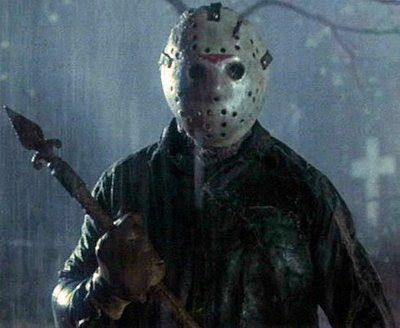 Of course they are not cinematic masterpieces by any stretch of the imagination, and within the greater cinema conversation, the original Friday the 13th is the only one to receive recognition, and even that is far from universal. These are the movies that introduced me to horror though, and they stand out as some of the better examples of the genre from the 1980s, despite the odd turn with the entries from the 1990s and 2000s. As always, thank you again for reading and I hope you enjoyed the journey through the Friday the 13th series. *POST-SCRIPT* Two aspects I forgot to mention: First, the poster art for these movies is pretty nice. Check them out from IMDB or Wikipedia. Also, the musical scores throughout the series by Harry Manfredini are excellent as well. 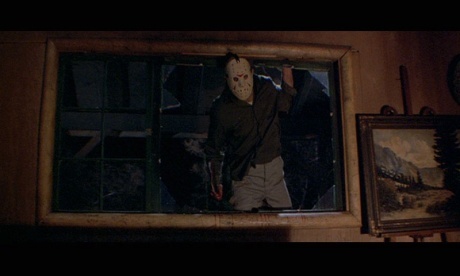 This entry was posted in Movies and tagged 1980s Horror, Friday the 13th, Friday the 13th movies, Friday the 13th series, horror film, horror film series, Horror Films, horror movie, Horror Movies, Jason, Jason Movies, Jason Voorhees, movies, Slasher Movies. Bookmark the permalink.